POLi is an Australian online payments system which allows its customers to pay for goods and services on the Internet through instant online banking. Founded in 2006, today POLi is widely used throughout Australia and New Zealand for online shopping, purchasing airline tickets and playing at web-based casinos without the need of a credit or a debit card. Being a real-time online debit payment method, POLi provides its users with flexibility, safety, and convenience when they need to make a payment on the Internet, but do not own a credit card or a digital wallet. The payment system has become incredibly popular among online gamblers because it allows them to transfer funds into their casino balances directly from their bank accounts. Moreover, it does not require registration and it is available at most of the leading banks in Australia and New Zealand. Currently, POLi is accepted in more than 60 web-based casinos and is regarded as one of the fastest and safest payment methods for online gambling in the region. Players who want to use POLi for deposits or withdrawals need to have an online banking account in one of the associated 18 Australian and 7 New Zealand banking institutions. In addition, there are numerous web merchants that accept POLi as a payment option. Payments through this system are carried out instantly and do not require creating a separate POLi account. As the service stores no personal or financial data about its customers, it is also exceptionally safe and transactions remain anonymous. The method has gained popularity for online gambling in Australia and New Zealand for one more reason – POLi does not charge any fees for the transfers processed through it. POLi functions as an intermediary service between the users with their online banking accounts and the web-based merchants. 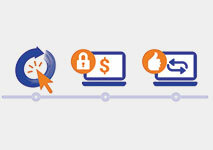 Through this payment system, customers are able to use their secure Internet banking facilities to make transactions even at websites with less than spotless reputation. And while this method prevents risks such as credit card fraud or stolen sensitive information, the payments done through POLi cannot be reversed. In order to make payments in online casinos or in other web-based vendors, users need to have active online banking accounts in the following banking institutions – ANZ, BOQ, BankSA, Bank of Melbourne, Bankwest, Citibank, Bendigo Bank, Commonwealth Bank, St. George Bank, IMB Building Society, Newcastle Permanent, ING Direct, NAB, Bank of New Zealand, Suncorp, Westpac, AS, BankDirect, TSB Bank, and Kiwibank. The POLi payment system is in-browser, so it provides instant access to the user’s banking account without any security risks. It is a good alternative to credit cards and it charges players no fees for transactions to their online casino accounts. Loading funds into your online gambling account via the POLi payment system is easy and takes just a few steps. Make sure you are logged into your account and go to the Cashier section of the online casino, where you will be able to see all the payment methods available. Some casinos feature POLi under the “Internet Banking” or “Online Banking” category. When you choose POLi, a pop-up window will appear and you will be asked to enter your bank and the amount of deposit you wish to make. The page will redirect you to the online banking facility your bank offers. Here you will need to log into your account with a User ID and a password. Once this step is complete, you will see a payment form. All you need to do is to check the information provided in it, as POLi already filled it in for you. If all data is correct, you can proceed and confirm the payment. Within seconds the transferred sum will appear in your online casino balance, while you and the casino will receive confirmation receipts from the payment service. Some casinos which offer POLi as a deposit method also allow players to withdraw their winnings through the same system. However, opening up an account on the POLi website will be necessary and this option is still limited to only a few online casinos. The registration form needs to be filled with basic information such as the user’s name, address, and banking data. POLi charges a small fee of AU$0,30 plus 0,9% for these transfers. Compared to other online payment systems, where in some instances fees can reach up to 10% of the transaction value, this method is rather simple and cost-effective. Note that processing withdrawals typically takes 3 to 5 business days to complete. The deposits are not only instantaneous but free, as well. In some instances, banks may impose small fees for the electronic transfer. Still, players should consider having another option to withdraw their funds. Popular methods are various digital wallets, as well as debit cards. POLi is designed to provide a safe, fast and absolutely free payment method to users, while only merchants are charged small fees (1% of the transfers and the fee is capped at AU$3). As most individuals use the system for online purchases and making payments, they really do benefit from the free experience. However, when online casino players transfer winnings from their gambling accounts, they need registration with POLi and all incoming transactions are charged AU$0,30 plus 0,9%. The minimum limit for a single transaction is AU$1, while the maximum stands at AU$501. Players who use this payment method should also take into account that their banks may charge them for the processing of the transfers. POLi is among the safest deposit methods players can use at online casinos, as it does not store any personal or financial information on its servers. The deposit transfers are authorized and processed by the user’s bank in real time and via the secure and protected Internet banking system. When it comes to withdrawals from your casino account, POLi can be used by creating an account on its site. In this case, the service will have access to your personal and banking data, which may be an issue to some players. However, POLi is a secure and certified online payment services operator, so your protection is guaranteed. Its website is SSL-encrypted, which ensures all entered information remains private. As no registration is required, the user remains anonymous and no information is disclosed to any third-party operators, including online casinos. Using POLi for your gambling transactions comes a distinct set of advantages that you should certainly not overlook. They may be the deciding factor in your choosing POLi over other payment methods and below, we will list some of the major ones. 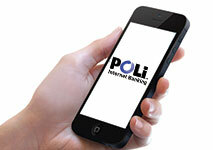 POLi ranks higher than certain payment services due to the fact that it can provide with greater degrees of anonymity. When you make a payment with POLi, the service acts as a man-in-the-middle and hides all of your personal information. When the casino staff look at the transactions, all they see is that it was made via POLi and nothing else. POLi is exceptionally easy and convenient solution for gamblers who, for security reasons or otherwise, prefer not to fund their casino balances with a credit card. In today’s day and age where financial fraud and identity theft run rampant, there is no measure that you should not take to protect your personal and banking information. Another great aspect of POLi is the cost, or rather, the lack thereof. It charges no fees and most casinos offer players plenty of rewards for deposits via POLi. Some may consider this to be the greatest strength of the service, especially when other similar payment methods are all too fond of charging you for every transaction. Something else to consider is the speed of the transactions. Despite the fact that POLi essentially makes bank transfers, you will find that your deposits go through in seconds. When compared with making the same payment the traditional way, the difference is like night and day. With POLi, you will not have to wait multiple business days for you to enjoy your favorite games. All you have to do is press a few buttons and you are set to wager your hard-earned cash. POLi is simple to set up and you will be able to make transactions in minutes. Other payment services require you to provide extensive information, then provide proof of identity. You are not even required to register to use POLi and the whole process is quick and convenient. Of course, we should also have a look at the negative aspects of the service. Only by doing so can you get a good grasp on this payment method and decide if the advantages outweigh the disadvantages. Although POLi is very fast and straightforward, it is available to only players in Australia and New Zealand who have Internet banking accounts at one of the participating institutions. If you are not such a user, then you will have to make due with another payment service. This is a real shame considering that POLi certainly has a lot to offer and the lower user base also impacts the rates of adoption at gambling websites. Speaking of a small users base, this directly affects the amount of attention the service receives from online casinos. Most gambling online do not bother with services that are only used by a handful of people. In the case of POLi, there are no more than 60 casinos that support this service, which is a drop in the bucket when compared with other payment methods. As a result, you will only be able to play at a very narrow range of websites when using POLi as your main transaction service. Another large disadvantage of POLi is that it is not available for withdrawals at most casinos. This is arguably the largest detriment out of all of them. When using a service, online gamblers have to be sure that they can both send and receive money via the same method. Unfortunately, many online casinos choose to forgo support for withdrawals via POLi and offer other services with which one can cash in their winnings. This is normally done via normal bank transfers, which take several business days to clear and are much slower than more conventional services. Where POLi is a supported withdrawal option, the casino will usually charge a fee for the transaction, which suffice to say is not in the user’s interest. The lack of consumer protection significantly affects the reliability of the service. In the event that someone is able to obtain your banking information and they conduct a payment via this service, you will have no means of recouping your losses. This is undoubtedly a letdown considering that many of the top-tier payment services in the industry provide some form of guarantee. POLi payments are irrevocable and there are no direct refunds. As the service is not a banking institution, the payment is not insured and cannot be reversed by the bank. POLi is certainly one of the most secure payment methods available to you. The company behind it has implemented extensive security measures to make sure that no illegal activities take place. All communication is encrypted using 2048-bit SSL technology, which is practically impossible to penetrate. Moreover, only authorized personnel have access to the company’s serves, which are protected with a multiple-layer firewall system. Does POLi retain any information? 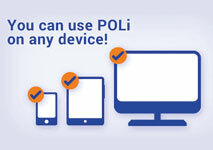 POLi does not store any username, passwords or other sensitive information that can be used against you. The company is dedicated to providing a safe and intuitive service that users can thoroughly benefit from. POLi is not a banking institution, rather it is a company that handles the payments that go from your bank account to the receiving party. As such, it does not offer loans or have the capacity to affect your balance in any way, outside of what you do personally. What banks does POLi support? At the time of this writing, POLi supports the following Australian banks – ANZ, Bank of Melbourne, BOQ, BankSA, Bankwest, Bendigo Bank, Citibank, Commonwealth Bank, IMB Building Society, ME Bank, NAB, Newcastle Permanent, St. George Bank, Suncorp, and Westpac. As of this writing, POLi supports the following New Zealand banks – ANZ, ASB, Bank of New Zealand, Kiwibank, TSB Bank and Westpac. Despite the fact that POLi is limited to users in Australia and New Zealand, it is one the fastest growing online payment services in the region. Serving more than 30 million customers, the provider is now entering the UK market and is expected to gain even more popularity. POLi is a fast, safe and convenient option for online casino players who need a reliable method for topping up their balances. It is also a great alternative to credit/debit cards and digital wallets, which do not always provide an adequate level of security and data protection on the Internet. Due to the lack of fees and its ease of use, POLi certainly remains one of the most preferred systems for instant online bank transfers in Australia and New Zealand.